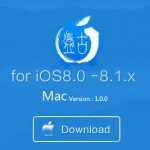 Home › Pangu jailbreak › Pangu8 Untethered 0.4 available with fixed Safari & more. Update now.! 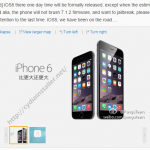 Note : This Pangu 0.4 update only for the jailbroken devices & there is Pangu 1.2.0 update available now for iOS 8 jailbreak..
‹ iOS 8 jailbreak failed..? Try with these Suggestions for 100% success..